A few months ago we examined the mechanical and musical basics of the damper pedal. This month we’re going to look at how the una corda, also known as the soft pedal, works. 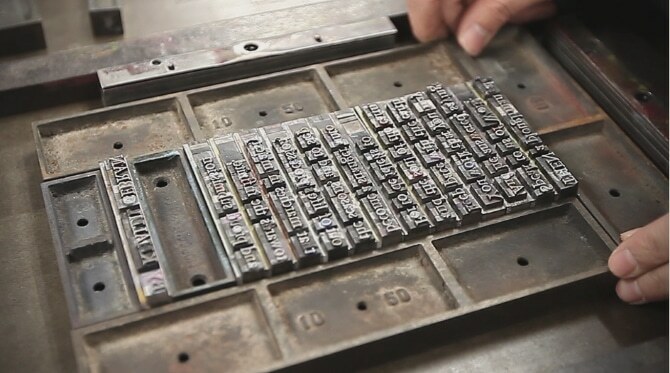 I was speaking with an older gentleman recently who used to be a typesetter for a newspaper, meaning that he would manually place letters in rows each day for the daily newspaper (pre-computer and pre-typewriter). Each of the letters in the alphabet was grouped together and were called “sorts”. As the day progressed, depending on what the typesetting would require, you might run out of a certain letter, like a letter E or letter A, for example. And so if you were “out of sorts”, meaning that you had run out of that particular letter, you would go into the storage room of letters and get more sorts, another container of that character. The insinuation is that if you’re “out of sorts”, all production stops until you remove yourself from your work, restock and regroup and then continue on. I love these kinds of stories that reveal the story behind the phrase. The soft pedal on the piano also has not-so-quaint a story but interesting nonetheless. Cristofori, credited with the invention of the earliest pianos in the 1700’s also installed the “una corda” pedal into his pianos. Being Italian, the phrase “una corda” can be translated “one string”. How does “one string” translate into a pedal we also know as the soft pedal? We’ll look at that in just a moment but first, let’s take a look at the structure of the left pedal on the piano called the soft pedal or una corda. First of all, grand pianos and upright pianos have very different functioning soft pedals. The grand piano shifts all of the keys from left to right slightly. As you can see in the top picture, the keys move away from the rim at the left. This, in turn makes the hammers off center from the strings they are striking. What’s happening below the surface is that the soft pedal (the left pedal on any piano) is connected to a rod which eventually joins to a lever that swivels. This swivel piece sits under the entire keyboard frame and moves all of the keys from left to right. Why shift all of the keys? On the majority of the keys on the piano there are 3 strings. When you shift the keys using the soft pedal, the piano hammers strike only 2 strings (pictured in the second frame) instead of 3 and thus, the piano becomes softer. But what is also simultaneously happening is that the hammers, being shifted out of their usual strike pattern, are also hitting on fresh felt. When the hammers are aligned to strike at the normal position, they will, over time, have small grooves in the felt. When the soft pedal is engaged, shifting from left to right, the hammer is no longer striking those same grooves. The effect then is that the tone is usually quieter but also softer and warmer in timbre. Mechanically, upright pianos operate very differently and the soft pedal on any upright is not really any kind of “una corda” since it does not shift the keys. Rather, it pushes the hammers on a single rail forward towards the strings (pictured below). How do closer hammers make the piano softer? It simply gives you a bit more control bridging the smaller gap between the hammers and strings. Hammers on an upright piano travel the full distance to the strings under normal conditions. When they are moved closer, the idea is that with less distance to travel, it will be easier to control. Try this as an example: if you wanted to clap your hands loudly, it is our natural inclination to first separate our hands a fair distance to make the impact greater. What happens if you move your hands only a foot apart and aren’t allowed to move back before you clap? The result is that the lower distance only allows for lower impact and thus lower volume. Upright pianos work the same way. When the pedal is depressed, a rod simply engages a rail that moves all of the hammers closer to the strings in hopes of limiting the loud playing and making a closer strike distance. The result is quite often negligible and the tone, unaffected compared to a grand piano moving the hammers onto fresh felt. So where does the term “una corda” come from? Back in the day of Cristofori (early 1700’s), each note on this primitive piano had only 2 strings. Using the “una corda” shifted the keys so that they would only strike 1 string. How different the piano would sound if you would only strike one string at a time. It would sound not only quieter but also thinner. Our ears are so accustomed to hearing 3 strings simultaneously, it would actually be odd to hear a single string resonate at a time. It would be more akin to a guitar. Over the years, however, the term “una corda” has become an anachronism. Although it’s outdated, the term implies quiet and more intimate playing. I guess we could start a quiet revolution and call it Due Corde (2 strings)… but then again, the initials DC are already taken meaning Da Cappo. Piano nerd humour. Hahaa. 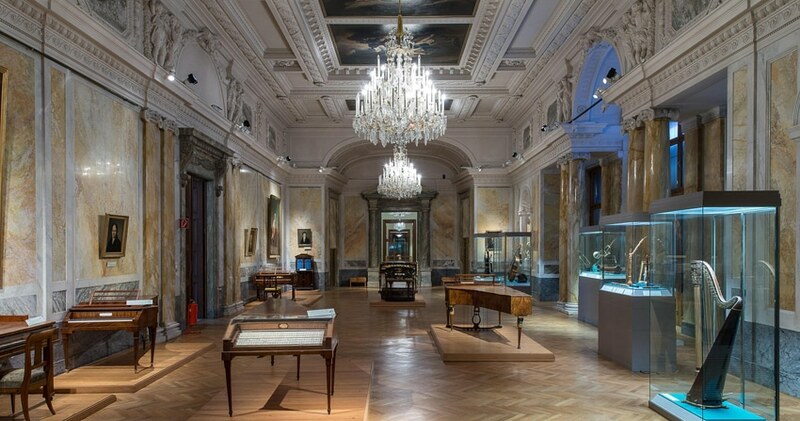 As an aside, if you ever get a chance to visit the keyboard museum in Vienna, Austria (Kunsthistorisches Museum Wien), the instruments dating from the 1700’s are completely fascinating and being able to see the historical developments up close is incredible. I highly recommend it!